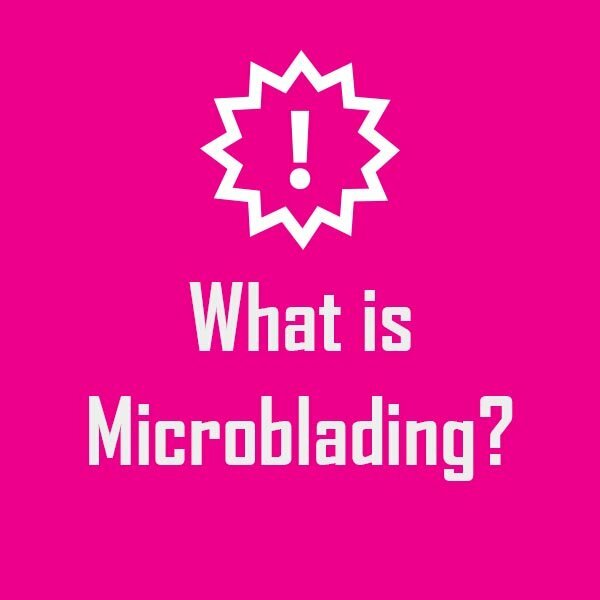 Interested in Microblading but not exactly sure what it is? Microblading is one of the biggest trends in the realm of permanent makeup, yet it still remains quite ambiguous. We wanted to provide some info that may help you out! A couple basics… Microblading is a tattoo, it is actually considered semi-permanent. The technician will use a hand tool and pigments to draw individual hair strokes throughout your eyebrows with the final result showing full and thick brows. Ultimately, it is a great and convenient alternative to drawing on your brows each morning. We know there are a lot of misconceptions when it comes to Microblading and really, permanent make up in general. In order to answer some questions our readers may have, we included a graphic below. We compiled these five points from the questions we frequent the most with our customers. We hope this quick read gave you some insight from customers who have actually received Microbladed brows. If you find yourself still wondering a few things or need clarification please do not hesitate to call us. You can reach out to Beauty Techniques and just ask for Linda DeLeon, she is a master technician and has been doing permanent makeup for 17 years. If you would like to see a collection of photos, check out our photo gallery or look us up on social. Are you ready to get permanent? Call us today for a free consultation. I had my brows and eyeliner done with permanent make up by Linda. I couldn’t be happier. She did and absolutely amazing job from the consultation to the appointment. She was incredibly thorough and detail oriented and explained everything. Great experience, I would recommend her to family, friends and even strangers! Why not! I couldn’t be happier with the service that I received from Linda. I couldn’t be happier with the service that I received from Linda. She came highly recommended to me as the best in Houston in her field, and she has proven to be everything that I had heard she was. Linda is passionate about delivering high quality services, and it shows in her work. I am extremely satisfied with the outcome of the service provided and really appreciate the time, dedication, and personal interest that she took with me and my individual needs. I will definitely return to Linda in the future, and highly recommend her services to others. Linda, I really enjoy meeting you again. My eyebrows look beautiful and I am so happy. Thank you Linda I will call to set up an appointment to do eyeliner Hope you and your family a Merry Christmas and a Happy New Year! !